Kirstine Aarkrog â€œMIR,â€� 2019 (audio - 9:12 min, speakers, iron plates, electromagnets). Photo: Louise Rosendal. Pt. describes, at internal assessment, a lack of feeling of being delimited from other persons (objects). Pt. describes a feeling of non existence, and a physical experience of the skin that shuts off to the brain. In 2018 I visited the open pit diamond mine ÐœÐ¸Ñ€. The mine is located in Siberia. In Russian 'MÐ¸Ñ€' means 'World'. The town which encircles the mine is belt on poles due to the frozen climate, and apart from low birch trees no plants can grow in this area. 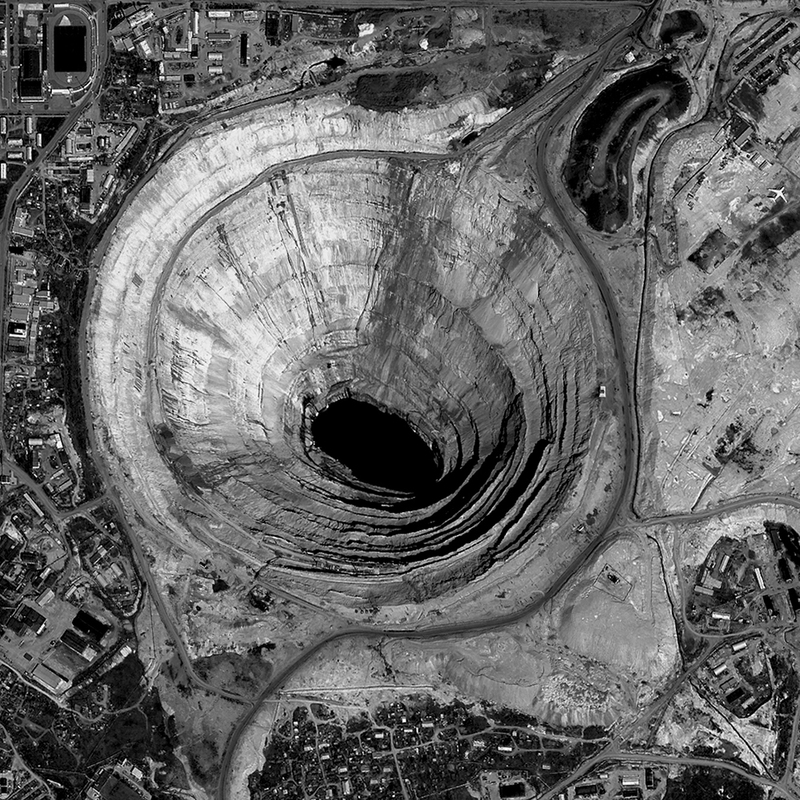 The Russian diamond corporation ALROSA operates the mine and the town. The air layer above the mine is closed because the depth of the mine can drag a helicopter down. The operation station is located two kilometers from the open pit. The mine closed in 2017 due to an accident, and to reopen the mine there is two options. Fernisering: Torsdag d. 14. februar, kl. 17-19. Udstillingsperiode: d. 15.-27. februar, 2019. Mir mine, Mirny, Yakutsk, Siberian, Russia. The photo is taken from the internet.